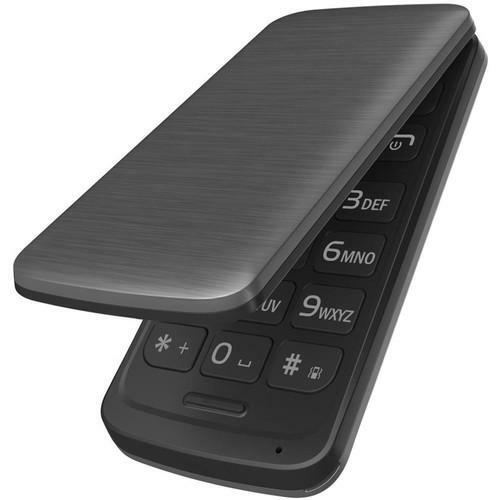 We recommend checking out our discussion threads on the BLU DIVA FLEX 2.4 32MB Feature Phone (Unlocked, Gray) T350 GRAY, which address similar problems with connecting and setting up Unlocked Cell Phones BLU. The user manual for the BLU DIVA FLEX 2.4 32MB Feature Phone (Unlocked, Gray) T350 GRAY provides necessary instructions for the proper use of the product Mobile - Unlocked Cell Phones. Stay connected with the unlocked BLU DIVA FLEX 2.4 32MB Feature Phone in a brushed gray metallic finish. This phone comes equipped with a 2.4" display and a VGA rear-facing camera with integrated LED flash, ideal for capturing photos of the world around you. You also benefit from an FM radio and media player capable of playing your favorite MP3 audio files and MP4 video files. Bluetooth 3.0 connectivity lets you take calls or stream audio wirelessly. The DIVA FLEX 2.4's internal memory can be augmented by up to 32GB with the use of a microSD card. If you own a BLU unlocked cell phones and have a user manual in electronic form, you can upload it to this website using the link on the right side of the screen. Box Dimensions (LxWxH) 5.0 x 2.7 x 2.2"
The user manual for the BLU DIVA FLEX 2.4 32MB Feature Phone (Unlocked, Gray) T350 GRAY can be downloaded in .pdf format if it did not come with your new unlocked cell phones, although the seller is required to supply one. It is also quite common that customers throw out the user manual with the box, or put the CD away somewhere and then can’t find it. That’s why we and other BLU users keep a unique electronic library for BLU unlocked cell phoness, where you can use our link to download the user manual for the BLU DIVA FLEX 2.4 32MB Feature Phone (Unlocked, Gray) T350 GRAY. The user manual lists all of the functions of the BLU DIVA FLEX 2.4 32MB Feature Phone (Unlocked, Gray) T350 GRAY, all the basic and advanced features and tells you how to use the unlocked cell phones. The manual also provides troubleshooting for common problems. Even greater detail is provided by the service manual, which is not typically shipped with the product, but which can often be downloaded from BLU service. If you want to help expand our database, you can upload a link to this website to download a user manual or service manual, ideally in .pdf format. These pages are created by you – users of the BLU DIVA FLEX 2.4 32MB Feature Phone (Unlocked, Gray) T350 GRAY. User manuals are also available on the BLU website under Mobile - Unlocked Cell Phones. My Windows 10 Desktop has no trouble finding my BLU Diva Flex 2.4 phone for Bluetooth connection setup, but I do not know the PIN that I must enter when the Desktop requests a PIN for connectivity. How do you manipulate it? On the front cover towards the bottom there is a blue blinking LED that turns on sometimes. What is the purpose of this led? It is red when the phone is charging. My 97 year old Mom has this phone (purchased by my sister). It is very for her to use, but she keeps turning the volume on the phone down (she can't hear anyone while talking). I can't figure out where the volume is on the phone and I can't find it on line. Can up please let me know where this is so I can show her how to turn the volume back up? How can I block unwanted calls on my blu diva flex 2.4 ? Date: 08.04.2016 06:27:23 Author: Paul K.
Hi there, did you try to search some instruction video with google? I like this BLU Diva phone. I have downloaded the "User Manual" from the website and found it sadly lacking of any usable info. Is there another source to show what key strokes are used to activate the various functions.